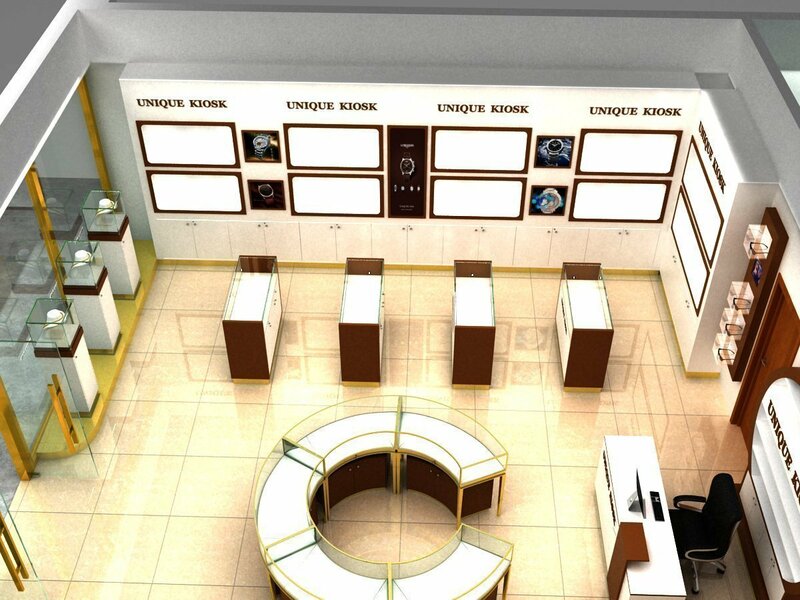 hello friends, are you looking for jewelry store furniture design? if yes, below some information will help you. 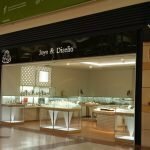 this jewelry store we made it to Djibouti before, more than 100m2, selling jewelry, glasses, watches these luxury products, whole store design is very high-end and luxury, as you saw, store have both side window display, one side is for jewelry and another side is for glasses, face the door is a round shape jewelry showcase display, and then back is for cash counter with a big image wall, it is very striking, inside of store , you can see left area is for watches display, right is for sunglasses area , middle area is for jewelry showcase display, very clear whole store divides this 3 area. 1. watches display area: we made the window grid to put watches, between each window grid, designer add some light boxes to put some hot sale watches posters. each grid all have led light to shine watches. 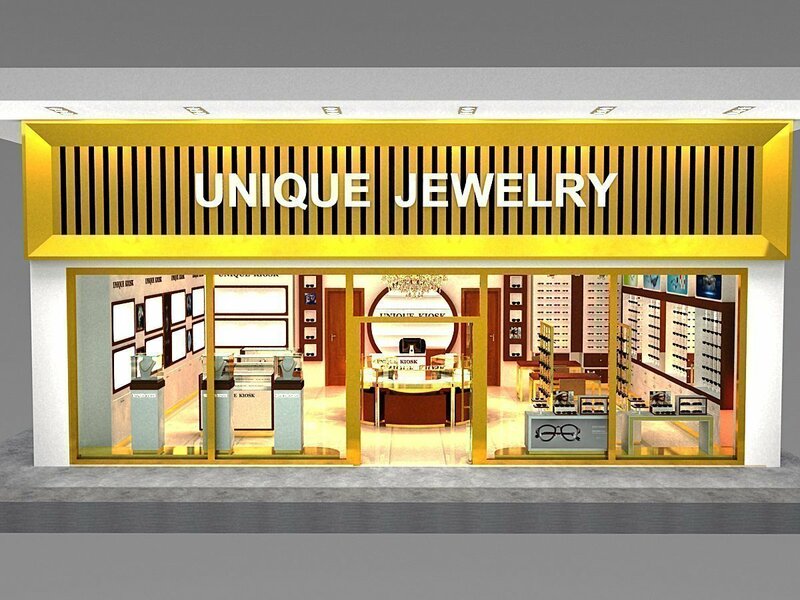 2. jewelry display area: fact to the door, we made a round shape glass showcase, it looks very beautiful and fashion, and then are some single glass stand. 3. glasses area: wall area all is for high display cabinets, we made some glasses holders so that customers can put many products, middle of store area is some mobile display shelves. 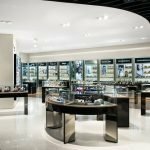 I believe see our this store design, you will love it, the layout is very reasonable and comfortable, design style also is very fashion, how do you like it? 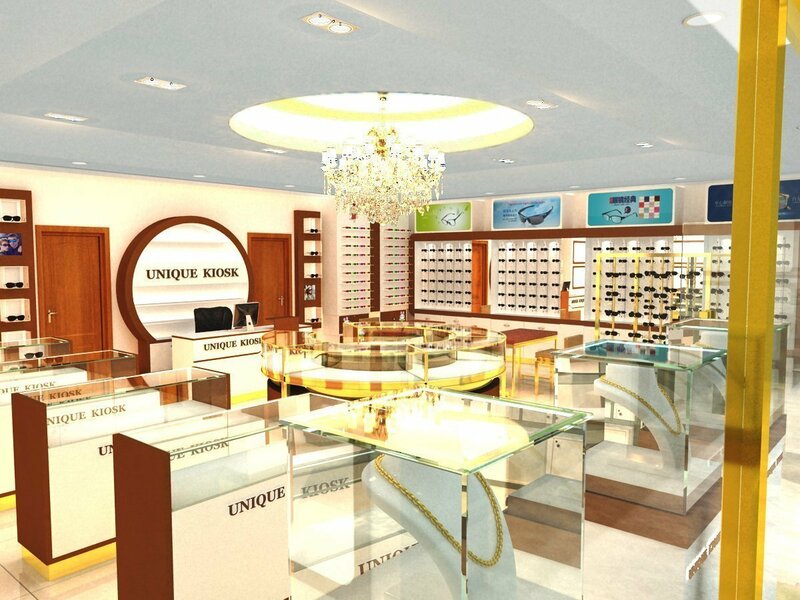 if you are planning to open a glasses or jewelry and watches retail store, pls contact us freely.